What’s fun about removing ticks from your furry friend after a long, agonizing day of work? 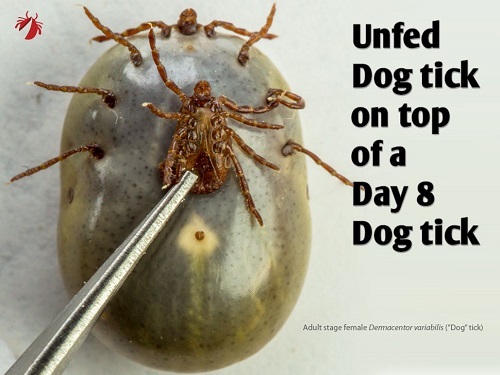 Not only are these nasty parasites hard to look at but ticks carry dangerous diseases, such as ehrlichial bacteria, anaplasmosis and Lyme disease that can potentially threaten your dog’s overall well-being. 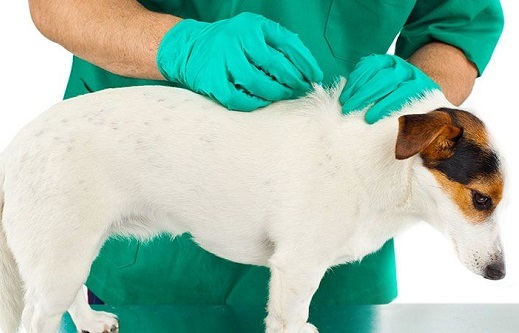 Pet owners can use over-the-counter treatments to get rid of ticks and ﻿flea﻿s. Most of the medications are e﻿ffectiv﻿e for getting rid of fleas and will keep these pesky parasites at bay. While most medications are safe to use on pets, it is still a good idea to talk to your vet to ensure the meds don’t cause a harmful reaction. Additionally, make sure you read the labels carefully to avoid any allergic reactions. Avoid using off the counter medicines if your dog has sensitive skin and suffers from allergies. Fortunately, the market is filled with tick shampoos that will provide your temporary dog relief against these nasty parasites. Bathing your dog in medicated shampoos will instantly kill all ticks in contact. Using a tick shampoo is probably one of the most convenient and inexpensive ways to protect your dog against these nasty parasites. However, for best results, you will have to repeat the process at least once every two weeks. 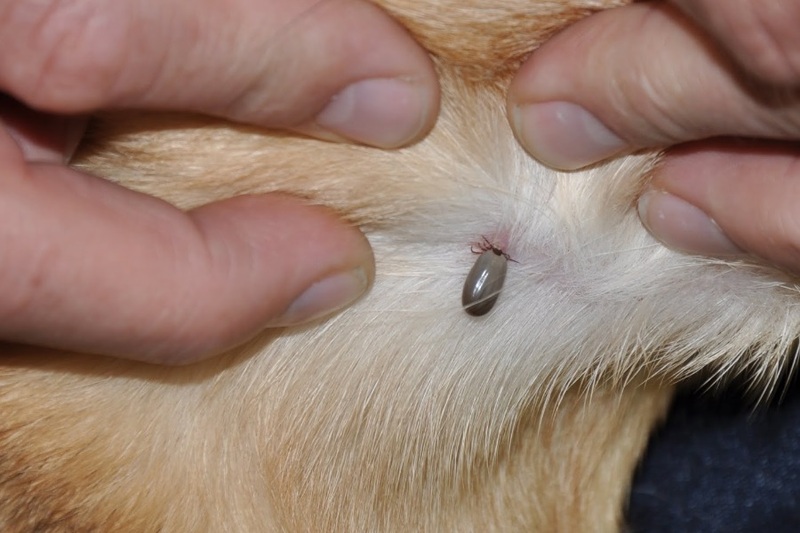 Using a tick collar is another effective means of getting rid of this external parasite. 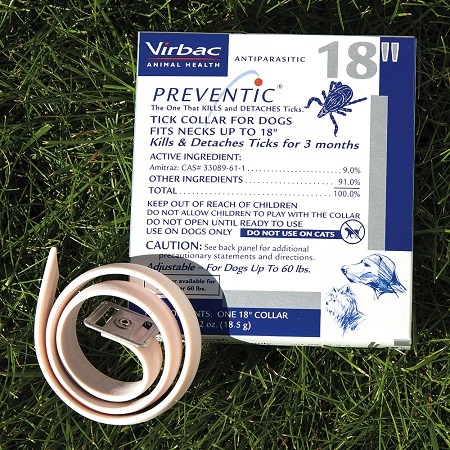 These collars are mainly useful for protecting your dog’s head and neck from ticks. The collar needs to make contact with your dog’s ﻿fur. Additionally, you need to make sure the collar is not too snug and does not restrict blood circulation. Cut off the excess length of the collar to prevent your furry friend from chewing on it. Not all dogs may find the collar comfortable so look out for signs of discomfort, such as excessive scratching. Like other types of tick preventive measures, make sure you read the labels carefully. 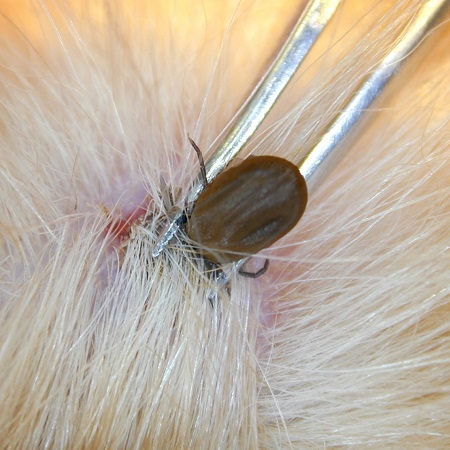 Using tweezers is among the most conventional methods of getting rid of ticks. Simply grab a pair of tweezers and grab the tick by the head area. It is important that you grab the parasite by the head or else it might break off, leaving the other part stuck in your dog’s coat, leading to an infection. Also, do not try to remove the ticks with your fingers even if you are wearing gloves. Using your fingers could cause squeeze the tick’s body, promoting the transfer of diseases. Use tweezers or a special tick removing the device to get rid of the parasites. Ensure that the trash cans are secured using a strong lid. Take out any rock piles to prevent rodents from finding their way inside. Regularly trim your lawn’s grass and weeds, ensuring it remains below ankle height. If you frequently go on hiking trips with your pet, ensure your pet stays with you and does not wander out of sight. Avoid areas with long grasses and wooded trees since these places serve as an ideal breeding ground for ticks. If your dog runs off the trail, inspect him for ticks before allowing him to enter his home. Using oral medication is another effective means of getting rid of ticks. Your vet can recommend some pills to get rid of ticks and other parasites. These medications will kill adult ticks as well as immature fleas. Rest assured, these medications are easy to give, and you will not have to be worried about other house pets and children encountering your dog after application. Similar to using shampoos, tick dips are concentrated chemicals that need to be diluted with water before application. The solution needs to be applied on your pet using a sponge. However, you are not supposed to rinse your pet with water afterward. However, keep in mind that these chemicals are highly concentrated and might not be suitable for young animals. Additionally, read the label and other information carefully about how to use the product. Tick Dips are also not suitable for pregnant or nursing pets. To be on the safe side, consult your vet to ensure it is safe to use this form of treatment for your dog. This treatment might not be suitable for dogs that have sensitive skin and are prone to allergies. Want to ensure your furry pal can sleep undisturbed throughout the night without worrying about itchy ticks? 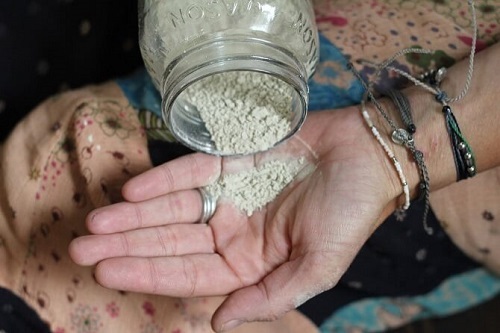 Consider using tick powders to repel ticks from your pet. However, this method should be used with utmost care and is best suited for pet owners who do not have young children. The fine powder can be an irritant in the lungs, hence use it carefully. Apply the powder away from your dog’s face and mouth. You can also apply the powder on your dog’s bed and other places where he frequently spends time. Hopefully, this useful guide has provided you enough information on how to get rid of ticks. 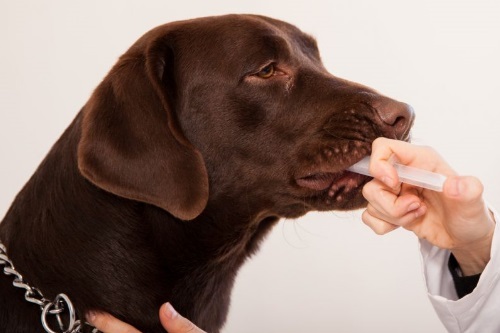 You may use any of the methods above depending on your dog’s condition. Consider speaking to a professional if the problem gets out of hand. Good luck!